I am happy to announce the first increment release of DotSVN. DotSVN is a 100% compatible (at the repository level) port of SVN - very similar to SVNKit. 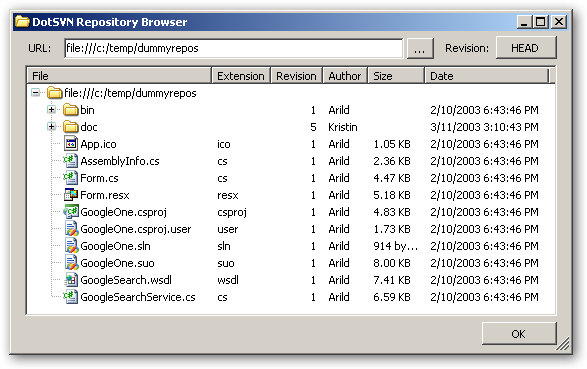 It can be used to access or modify SVN repository from DotNet application, be it a standalone program or from an Asp.Net web application. As mentioned here, this project was started to support the nTrac project. Sample .Net application build using DotSVN, accessing an FSFS file repository using 'file access'.